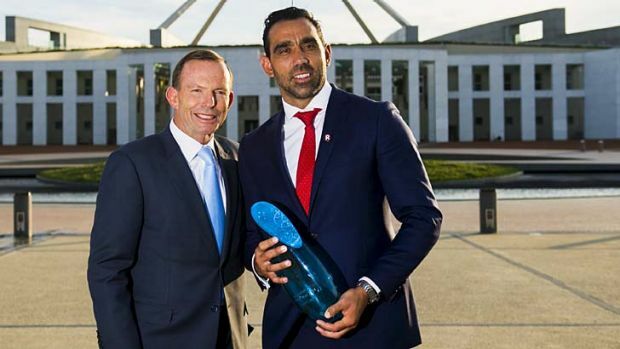 The Highest Honour: Australian of the Year in 2014, Adam Goodes, is congratulated by Australian Prime Minister, Tony Abbott, in front of the national parliament. Adam Goodes is a prominent Aboriginal footballer and Australian of the Year in 2014 yet he has been incessantly booed by football crowds every time he touches the ball for most of this season. No-one else in the modern history of the game has received such a toxic response from the crowd. Adam Goodes has won the best and fairest medal not once, but twice, yet not even the most unethical footballers have been on the receiving end of such persistent harassment from crowds as this article in The Guardian points out. This is racism supported by moronic crowds. Even before the indigenous round late in May, when Goodes did a traditional dance throwing an imaginary spear, the crowds were targeting Goodes. Respected football journalist, Caroline Wilson wrote about the booing, noting that Goodes had requested that his club remain not comment on the matter. He knew that such an action could lead virulent crowds to denigrate him further because he ‘couldn’t take it’. But that should not have stopped other sporting leaders from speaking out about it a couple of months ago. There are many Aboriginal players in the AFL (Australian Football League) but Adam Goodes is the target because he confronts Australia about its racism. He speaks and acts on his terms, not the terms imposed by the non-indigenous majority. He speaks and acts because he knows Aboriginal people like him are equal to all Australians. Freedom of speech means that all people can initiate serious conversations about how they feel and how our history has affected them. Justice for all can only be had if those who observe injustice are allowed to start an uncomfortable conversation. To Adam’s ears, the ears of so many Indigenous people, these boos are a howl of humiliation. A howl that echoes across two centuries of invasion, dispossession and suffering. Read all of Stan Grant’s article. Feel the existential distress of the original custodians of this land. This issue strikes to the core of the issue that Australia has to address. We need to own our disturbing history of the treatment of Aboriginal Australians since European settlement. We need to respect everyone, even when they speak uncomfortable truths to us. We can only act with respect when we shed our prejudices, ignore our desire for ease of conscience and embrace truth. A powerful statement in support of Adam Goodes has been released by the Professional Historians Association of NSW & ACT. Please read and share it. We’re kitted out for the AFL Grand Final here in Singapore. We have an old Swans t-shirt, a Hawthorn t-shirt and a Hawthorn scarf in case the air conditioning is too cold! 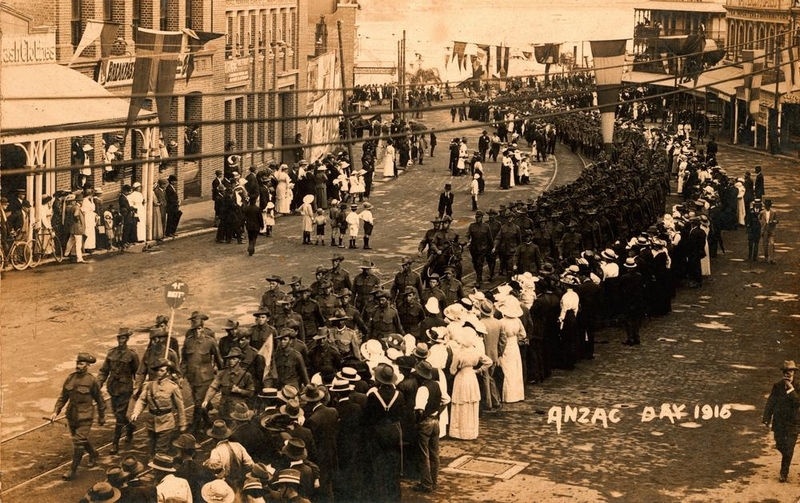 This post continues my series, Introduction to Australian History, which is written for people who have recently settled in Australia or live outside Australia and want an introduction to our history and culture. This weekend the AFL Grand Final will be held between the Sydney Swans and Hawthorn football teams. This is a huge event. Around 100,000 fans flock to the Melbourne Cricket Ground (the MCG, or simply The Gee) for a full afternoon of intense Aussie Rules football. Over three million viewers will be glued to the game on television around Australia and it will be broadcast throughout the world. Each of us has a mental and/or spiritual framework which influences everything we do. Our culture and beliefs, whether absorbed in our childhood or carefully thought through and adopted as an adult, act in a complex way to affect our decisions throughout our lives. In this respect our politicians are no different to every other member of society. We should expect that the beliefs of politicians, atheist, agnostic or religious will affect the decisions they make. This effect may be unconscious and subtle or it may be obvious to everyone. The ABC television program Compass is running a two-part series about the religious beliefs of Australia’s Prime Ministers from the inception of this nation in 1901 to today’s Prime Minister, Tony Abbott. ‘God in the Lodge’ is a chronological overview that introduces the question of how religious our Prime Ministers have been and how this has affected their decisions.